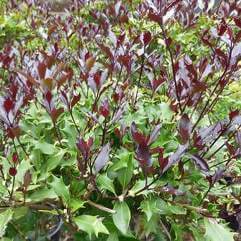 This evergreen has green holly-like leaves with yellow margins. 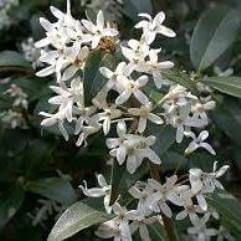 It flowers autumn to early winter with small clusters of white flowers along the stems. Lovely perfume. 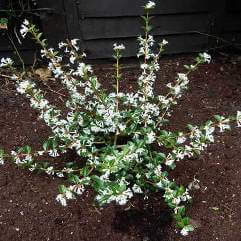 Good in a pot, as a hedge or a specimen. 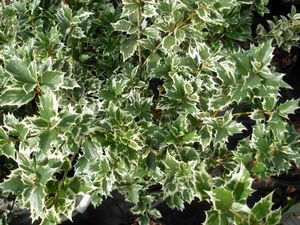 Full sun to part shade, Frost tolerant and drought hardy.